MILPITAS, Calif., March 22, 2017 (GLOBE NEWSWIRE) — Lexar, a leading global brand of flash memory products, today announced the Lexar® JumpDrive® Tough, a high-performance JumpDrive USB flash drive created to withstand life’s challenges, all while protecting the contents of your drive through an advanced security software. A fast and secure offering in the JumpDrive USB flash drive performance lineup, the JumpDrive Tough combines a rugged yet stylish look with secure, high-speed performance. This stylish, lightweight drive is impact/pressure (up to 750 PSI), weather (-13°F to 300°F), and water (up to 98 feet) resistant. The drive comes equipped with EncryptStick™ Lite software, an advanced security solution with 256-bit AES encryption that helps to securely protect files against corruption, loss and deletion. This tough USB 3.1 flash drive allows users to securely transfer photos, videos, and files with speeds up to 150MB/s read and 60MB/s write. * Users can quickly transfer a 3GB HD video clip in less than 1 minute, compared to the 4 minutes it takes using a standard USB 2.0 drive. ** For added versatility, the drive is also backwards compatible with USB 3.0 and 2.0 devices. The Lexar JumpDrive Tough USB 3.1 flash drive is compatible with PC and Mac® systems, backwards compatible with USB 3.0 and 2.0 devices and comes with a three-year limited warranty. Furthermore, all Lexar product designs undergo extensive testing in the Lexar Quality Labs to ensure performance, quality, compatibility, and reliability with more than 1,200 digital devices. 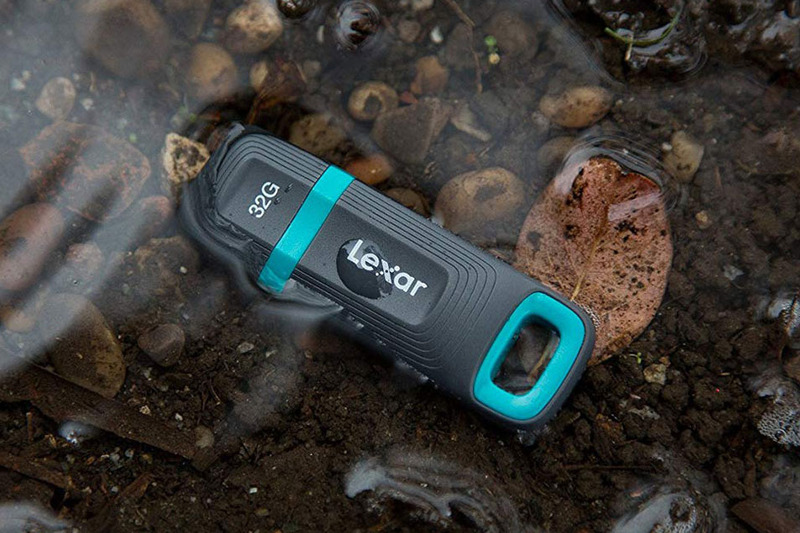 The new Lexar JumpDrive Tough is available now at MSRPs of $19.99 (32GB), $34.99 (64GB), and $59.99 (128GB). For more information, visit www.lexar.com.